INC Magazine named CyraCom one of the 5,000 fastest-growing privately held US companies in 2017 – our 9th straight year on the list, with 11 appearances overall. CyraCom’s growth also garnered recognition from the Best in Biz Awards, which honored us as one of the fastest-growing and most customer-friendly companies of the year. Best in Biz also awarded CyraCom a Gold award for Website of the Year for the careers site we developed to help prospective interpreters become full-time, certified employees in our large-scale US interpreter contact centers. The American Business Awards added to CyraCom’s 2017 successes by naming CyraCom a Company of the Year (Business and Professional Services – Large) and recognizing our Chairman and CEO, Jeremy Woan, as an Executive of the Year (Business and Professional Services – 100-2,500 Employees). ABA also honored CyraCom with Stevie awards for our dedicated team of implementation specialists, as well as the ongoing education efforts of our marketing department. CyraCom continued our relationship with the American Hospital Association (AHA), which exclusively endorsed CyraCom’s interpretation and translation solutions. CyraCom worked with the AHA to bring healthcare language services leaders together by hosting live roundtables in Boston, Los Angeles, and Cincinnati in 2017. Additionally, CyraCom secured the exclusive endorsement of the American Dental Association in 2017, bringing our services to the attention of an important segment of the healthcare industry. CyraCom partnered with the AHA to host live webinars with Boston Medical Center’s Elida Acuna-Martinez and Lee Health’s Yemisi Oloruntola-Coates. Speaking to hundreds of attendees across the US, these language services leaders outlined the obstacles their organizations have faced, the innovations they used to overcome them, and the ways switching to CyraCom has furthered their goals. Both Boston Medical and Lee Health also participated in CyraCom’s case study program in 2017. Through these case studies, we were able to share their successes and solutions with a wide audience of current and prospective clients in written form. In addition to the case studies, CyraCom published a comprehensive look at the CMS Overall Hospital Star Rating System in 2017 – where it originated, how it works, and the controversy that has surrounded it since its mid-2016 inception. The whitepaper explains how LEP patients may have an outsized impact on a hospital’s star rating and why executives should reconsider language services as a critical priority. Check it out here to find out ways a quality language services program may improve those scores. CyraCom hosted our fourth annual Healthcare Language Services Summit in Philadelphia. For two days, thought leaders in healthcare like The Incidental Economist’s Dr. Aaron Carroll, healthcare policy consultant Ignatius Bau, and Core Health and Wellness Centers founder (and 2015 Washingtonian of the Year) Dr. Gloria Wilder shared their expertise and solutions with healthcare language services leaders from around the country. 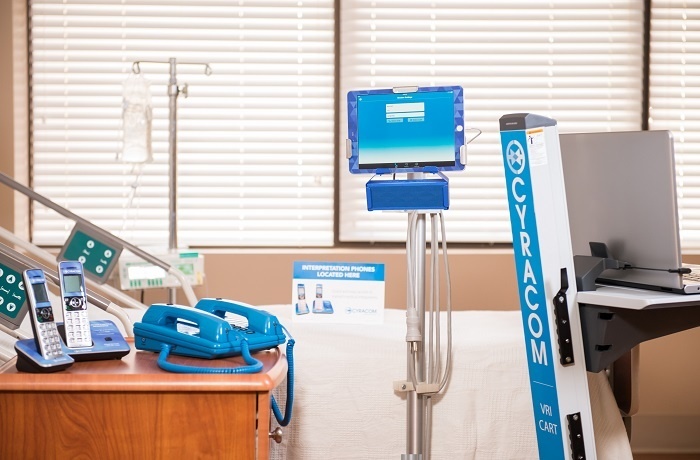 In 2018, CyraCom remains dedicated to creating resources and events that add value for our healthcare clients nationwide. Please feel free to share ideas for resources you’d find helpful with marketing@cyracom.com.